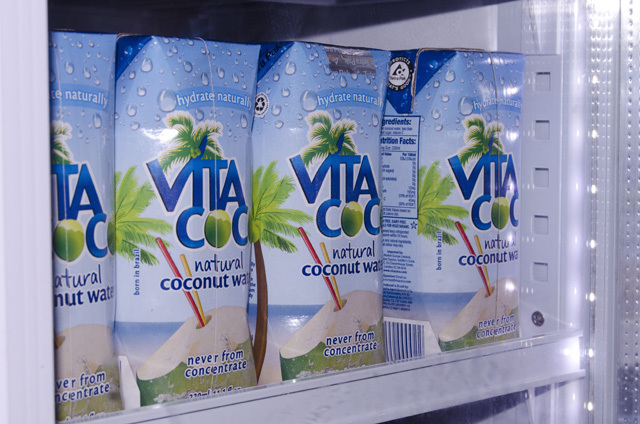 Where would we be without Vita Coco..? If you've ever been to Fashion Week, you will know it's all about hard work, running around London and looking good whilst you do it. You need to keep refreshed! That's where Vita Coco comes in.. 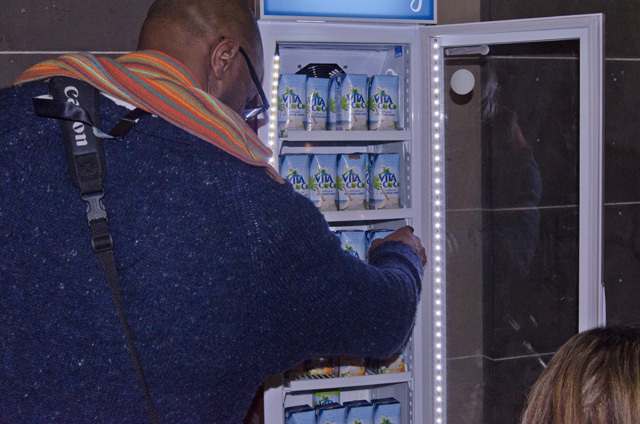 Situated both backstage and in the Fashion Scout VIP Media Room, Vita Coco have kept us supplied with a tantalising range of mouth-watering flavours- great for on-the-go. 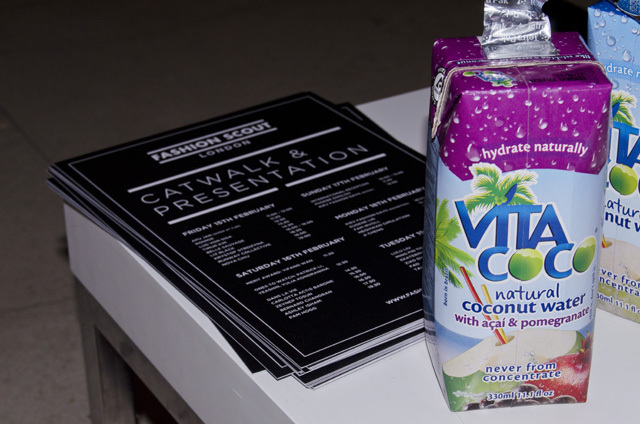 Backstage, Catwalk, Front of House- we have all felt the benefits of the 100% natural coconut water in our time of need. If you're visiting Fashion Scout, be sure to get your hands on a carton- if not, do not fret, head to their website- here where you'll find all the information you need to know. You could eve treat yourself to a carton or two..